Child sized kitchen items - Giveaway! To celebrate the arrival of our new book Kids in the Kitchen I have teamed up with my sponsors to host some child sized kitchen item giveaways. Just in case you missed it Kids in the Kitchen is now available internationally here. In the book we discuss setting up your kitchen for your child and the importance of child sized items. Child sized items including utensils are beneficial as they can help your child master a skill much earlier. Utensils designed for children are easier for them to use and to coordinate. However do not let the lack of child sized items stop you from including your child in the kitchen. Your child will learn and adapt to what they have available. To help you get started or to add to your collection this giveaway includes one of each of the following child sized items; rolling pin, whisk, tongs, ladle, apple slicer, grater, wooden spoon, cutting board, first spreader, masher, slotted spatula and an apron (with ties). 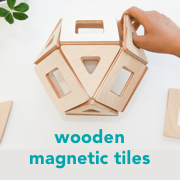 This giveaway has been provided by Montessori Child. 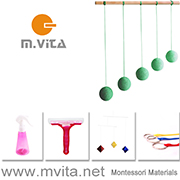 Montessori Child stock a range of practical life kitchen items available here. This is a giveaway for one set of the listed child sized kitchen items only. To enter simply leave a comment in the comment section of this post telling me your favourite food to cook with children. Comments close Monday 23rd July 2012 at 10pm AEST. The giveaway is open internationally but please only one entry per person. Thank you to everyone who entered. Comments have now closed.